TV 2.0 is a monthly feature on Pop Culture Monster detailing some of the best web series he can find out there. This month, we have three comedies and a dramady for you. As always, everything here comes with Pop Culture Monster’s bite of approval. Nom nom. Spellfury has been around for quite some time. Over a year, in fact. And the episodes are released bi-monthly. Pop Culture Monster recently started watching it and got a little bit hooked. It’s ever so corny, but it has such heart. It’s a WoW player’s dream web series, but it’s got enough for everyone to enjoy. Magical, mystical and gripping. Episodes up until episode ten run at about one minute in length, and this helps add to the tension that is building episodically. You’re always left wanting more. It is inspired by the works of Tolkien, and features Julie O’Halloran as the lead character Druinia, an elf who finds a magical sword and is being hunted by a scary evil sorcerer. Exciting, violent and a little bit gross-out, this one is sure to have you on the edge of your seat. Created, written and directed by Travis Gordon, you can watch episodes online at YouTube or the official website. 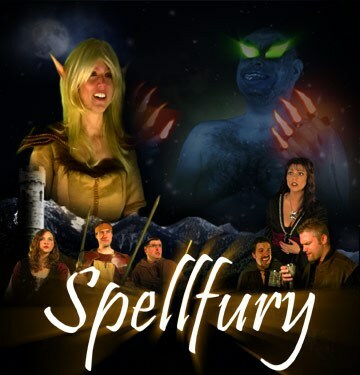 Follow the series on Twitter @spellfury. EDIT: Interview with Travis Gordon on Pop Culture Monster here. Awkward Embraces is about as awkward as you can get. It’s about Jessica, an extremely geeky girl, and her two best friends Candis and Lyndsey. It has just finished its run of season 1, and Pop Culture Monster has to admit that he might have watched 7 episodes in a row, at 4am. *might*. It’s sublime, awkward and extremely funny. Just when you think it can’t get any more cringe worthy, it really does. You kind of need to watch it peeking through your paws. Jessica is the most socially awkward person you could ever meet, and her two friends don’t help by setting her up with awful people, or generally fuelling her awkwardness. Each opener is written so brilliantly as a teaser for the episode which is mostly done as a flash back to the scene set in the opening and is syncopated with pearls of “oh no, you really didn’t?” and “what did I do?”. The whole season runs like a short film, with one main story arc and that is Jessica trying to find the perfect guy. Created, written and starring Jessica Mills with Candis Phlegm and Lyndsey Doolan. It is fresh, hilarious and yet touching and available for your viewing pleasure on the official website. Follow the series on Twitter @awkwardembraces. 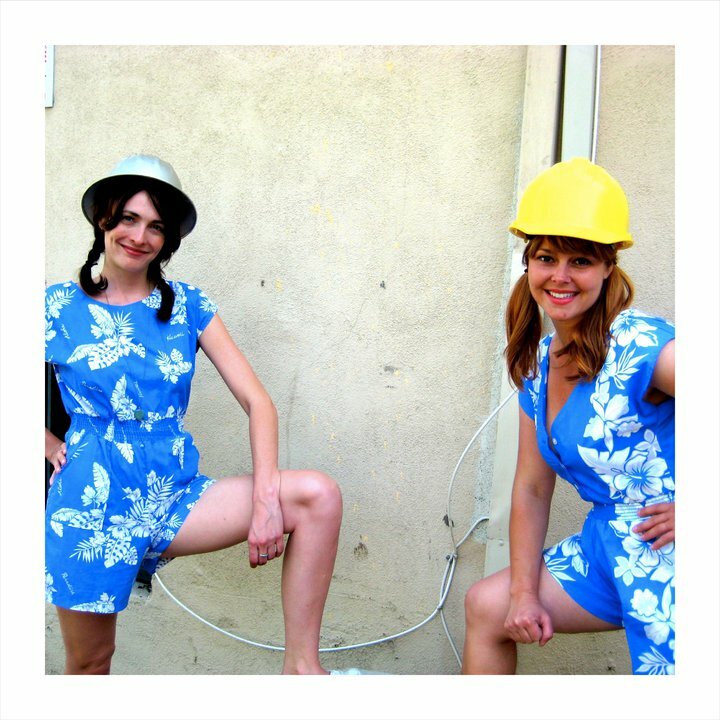 This web series follows aspiring actresses Penny and Pru, fresh faced and full of it living out of a carport in LA and working the scene. It was featured in the LA Comedy Festival, and is Pop Culture Monster’s newest addiction. The pair are a force to be reckoned with, as they stumble through auditions and practice their acting faces. It’s smart and extremely witty, and has lots of screwball comedy to keep you lol’ing throughout. The pair are the ultimate actor-hipsters. Yoga, visualisation charts, exercise balls and a semi-uncouth attitude. Created by Hope Banks, Laura Maxwell and Doug Roth with Hope and Laura playing the titular characters. It is currently airing on Funny or Die. Don Grigioni is a hitman and a vampire. He accidentally bit his wife when he got hungry, and then she bit her mother because she didn’t want her to have to die. Now she’s moved in, and caused all kinds of upset. Most of all, the grocery shopping. It has one of the most stellar casts seen on a web series, with Marcia Wallace of The Simpsons fame (Mrs Krabappel) as the mother-in-law, and Kirsten Vangsness (Criminal Minds) as Laura, the wife. Don is played by John Colella, and could have stepped off the set of The Sopranos he’s that good. The episodes are released on a ransom, which means each episode is only released when the previous one reaches the required view count, which currently stands at 5,000. Created, written and directed by the award winning comedian Joe Wilson, this is one of the classiest web series of the moment and is sure to be massive in the very near future. Help Pop Culture Monster get his fix by watching all of the episodes currently available on the official website. And follow the series on Twitter @VampireMob. Update: Interview with Joe Wilson on Pop Culture Monster here.